Starting a business can be a very exciting, but scary time. We have helped our fair share of startups and shared with them our startup tips, and let’s not forget that once upon a time, we ourselves, were a startup too. Now we help startups pitch, launch and grow their business, and have had some great success stories with companies like Prosper BI. So we’ve decided to share with you our top five tech startup tips. There are a few things to know before you start your business. In this article, we hope to give you some hard-won business tips that we share with our clients and wish we’d known about the first time around. Discover how to make a start-up company successful, with these five useful startup tips that have helped our clients succeed. We see a lot of budding entrepreneurs worrying about being sole founders. There’s this idealised version of startups having a co-founder, each with different skills sets. But despite what you may have heard, there are some great perks to being a sole founder – just ensure you have a strong team of advisors behind you, with different fields of expertise meaningful to your business. These advisors can help you build valuable connections, investments, and clients. Sole founders can take advice on board from their mentors, and decisions can often be made with greater clarity and speed. You have about as much chance of building a successful startup without doing extensive testing as you would winning the Lottery. Your time and money are extremely valuable, so don’t make the mistake of investing your time and money into a product or service that fails in the marketplace because you haven’t done your research. Never stop testing, by testing your product before it goes to market, you are more likely to succeed and generate constant cash flow. Get used to failures – you’ll be running lots of tests and most of them will end up in failures, but don’t let this dishearten you. For each pound you spend on research, you will be saving yourself a huge amount of wasted investment later on. There are loads of ways you can test your product and market – and they don’t have to cost the earth either. When you’re done here, check out our post 18 types of Minimum Viable Product (MVP) that won’t break the bank to get some ideas for your startup. We all love to see growing numbers, but it’s important to distinguish between real metrics and vanity metrics. Vanity Metrics can be easily manipulated and they don’t show a true representation of a business’s success – for example, we can all get ‘likes’ on social media, but are they ‘likes’ from people who would be interested in your product? What if your market is in the UK, but you grow your audience with thousands of likes from the US and China, would that help you grow your business? Or just over inflate your perception of progress? Equally, you could focus on ‘app downloads’, but this doesn’t give a true reflection of active users. And what is it that defines “active” for your business, anyhow? Does it mean spending time on the app, or activity taking an action? For example, Facebook’s focus is on a “user engagement” metric rather than the “time on site” metric used by other social media channels. This gives Facebook a more accurate reflection on how engaged their users are. For Facebook, this is much greater proof of how valuable their audience is to their shareholders and advertisers. Focusing on the wrong metric is a problem because it’s important for any startup to have accurate data they can track so that they can properly understand the health of their business, and the direction of growth. A great startup company tip is to use a variety of data sources that paint the full picture of what’s going on, rather than just one metric in isolation. Also, think to yourself “what does this data actually tell me about what’s happening in the real world?”. Speed is often one of the most important things in today’s business landscape. It’s not necessarily the largest company, but the fastest that wins. We often see new startups spending so much time trying to get everything perfect, that they quickly run out of time and money. Moving at a fast pace can be scary, but to stay ahead of the game you need to be quick. Planning is key, whether that’s on a wall in your office, or using some of the great planning tools out there. It’s important to keep track of where you are now, where you are going, and what you’re doing next. Try and break down what you need to go into a series of small experiments. These can last a few hours or a few weeks, and you may run a few side by side. Be sure that with each one you have a clear understanding on what you’re going to have achieved by the end, and what decision you’ll have made. By making sure you have a clear decision by the end of each experiment you’ll be able to move your project forward much more quickly, and with accuracy rather than guesswork. Fundraising is often seen at the beginning of any startups journey. But of course, you’ll have typically spent the last 6 months or more working all hours available to you to get yourself in a pitch ready position. So it’s tempting once you’ve received your funds to take your foot off the throttle a little, thinking to yourself; “I’ve got the cash now, everything will start getting easier from here”. Instead, once you’re successful in securing funds, its time to show your investors that they made the right decision putting their trust in you. The only way you can do this is by building a business that generates a constant positive cash flow. So now is no time to relax! 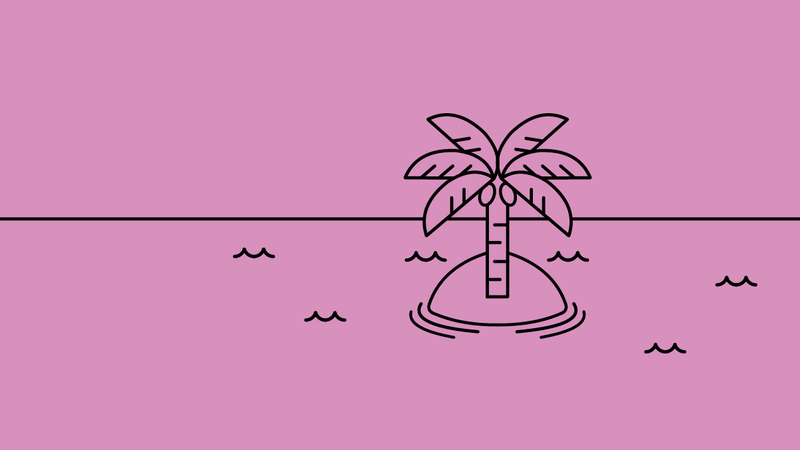 Successful founders never feel relaxed until they have sold their business and are taking a well-deserved holiday – ideally on a private island, dreaming up their next venture.